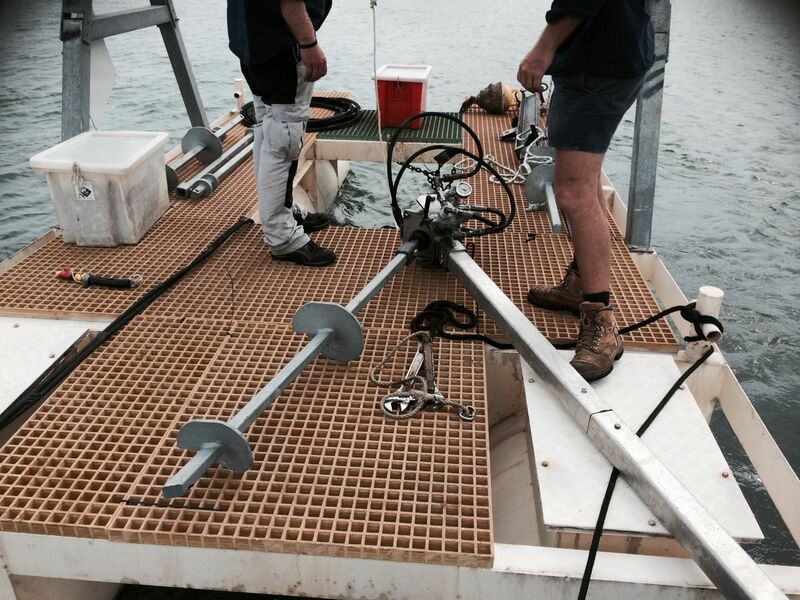 We install the Enviro Mooring System, which is a proven and tested mooring system. This system incorporates a Helix Anchor, Rope / Elastic Rode, and normal mooring tackle. 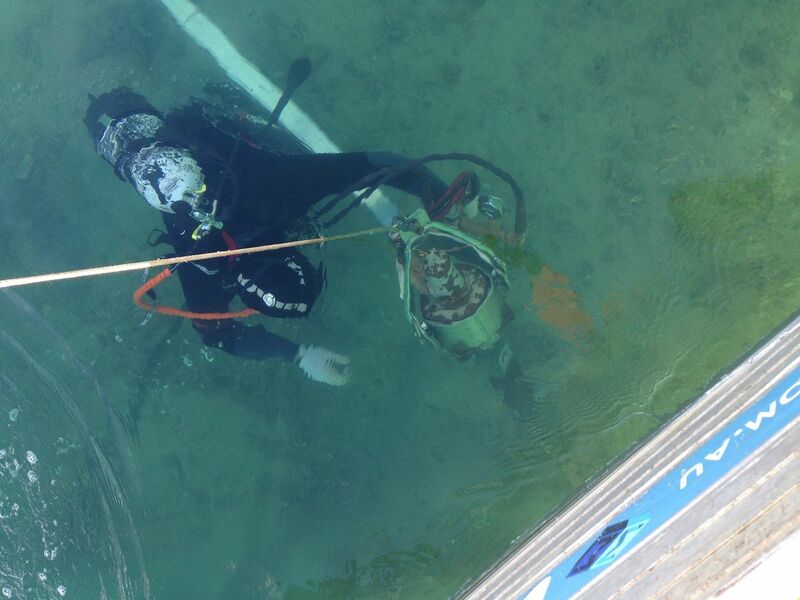 The Anchors have been designed for easy installation and longevity in the marine environment. The galvanised helix have been engineer designed and tested, and full install instructions implemented as part of the procedure. One of these anchors can outperform a 10 tonne concrete block. Helix anchors were first described in an engineering paper in 1848. They have been used in marine environments since the 1800’s, with initial uses in lighthouse foundations. We install the Galvanised Enviro Mooring Helix Anchor as a mooring anchor for any size vessel. 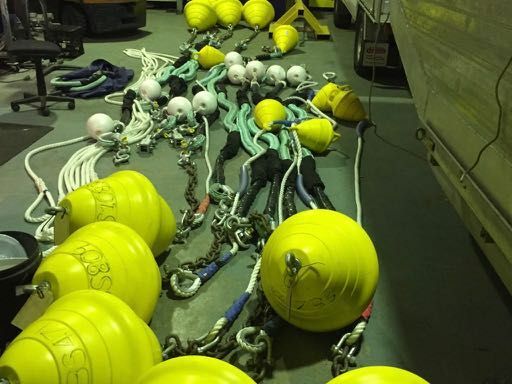 One anchor can easily hold a boat up to 12 metres, and by stiffening up the top of the shaft, or adding extra anchors, any size vessel is possible. Chains dragging on the sea bed damage the marine environment, and the sand or grit picked up, speeds up the wearing of the tackle. By floating above the sea bed, the Enviro Mooring lasts longer, and does not damage the sea bed. All moorings need a shock absorber to take up the action of waves and swell. The Enviro Mooring Rode has elastic in its’ centre, which provides the comfortable dampening your boat needs. An added safety feature is the 32 mm rope is certified to over 15 tonne breaking strain. 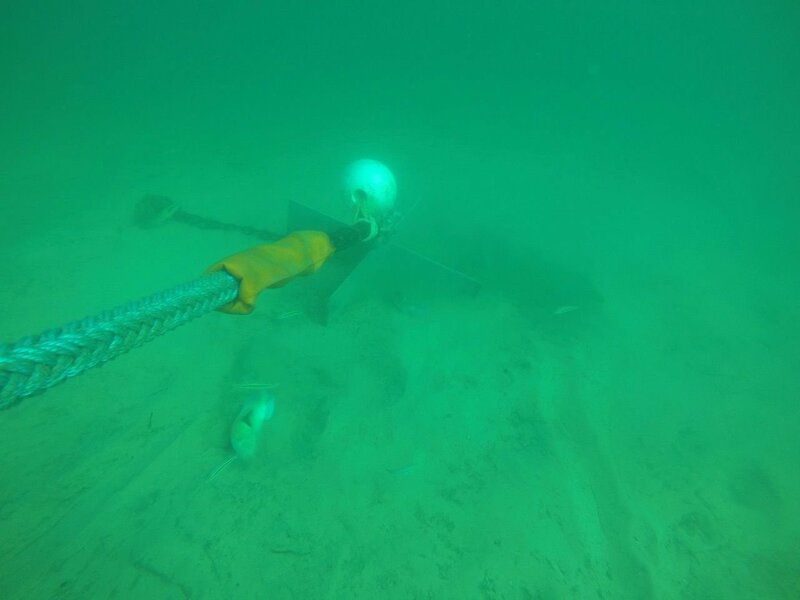 Drilling in the anchor is able to be completed underwater or from the barge. This means we can install in potentially any depth of water, and we are not restricted by the distance our drill can reach from the boat. As the anchor drills into the sea bed, it starts to gather some resistance. This resistance is measured by a gauge on the drill, and lets us know when it is installed deep enough. 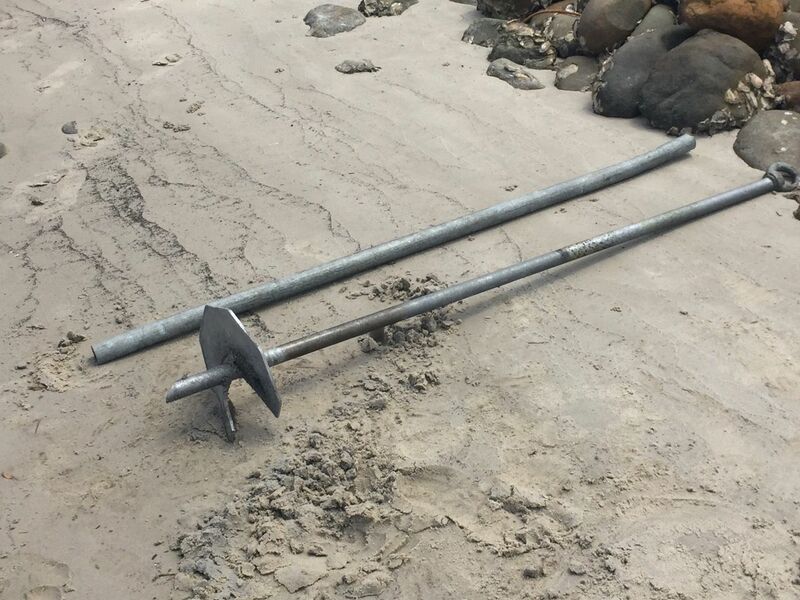 If you are out of our area, or just want to anchor a small dock these anchors are able to be installed by hand. Slip the pole in the top, and turn around the anchor, and watch it drive itself in. Lengths of 1.2 and 1.5 metres are available, and can hold a small boat, or plastic dock in place. We have also sold these anchors to some Aqua parks. At the top of your mooring will be a floatation buoy. This should always be foam filled, in case it is struck, and develops a crack. The buoy holds your mooring tackle off the bottom, and marks your position. We can fit any buoy to the Enviro Mooring System, and mark the buoy permanently with your designated mooring number. Still have an older conventional mooring with a block and chain. 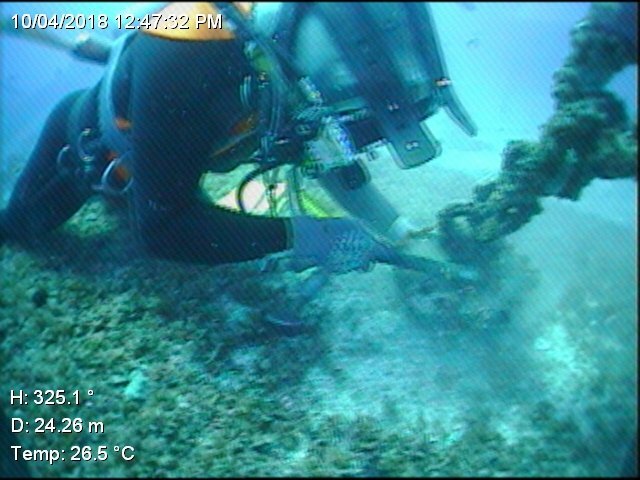 We first started installing conventional block and chain moorings, and still inspect those too. Contact us for an inspection.